Dr. 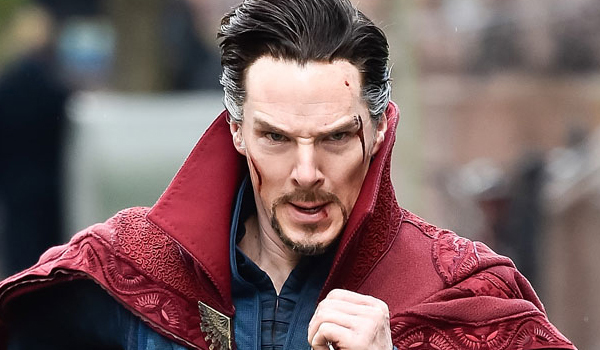 Strange is surgeon who lost the ability to operate and then became Sorcerer Supreme, master of the Mystic arts and guardian of this realm of existence on his quest for enlightenment. His style and aura are majestic so we wouldn't be surprised if you want to dress like Benedict Cumberbatch in Doctor Strange. All hail the Sorcerer Supreme! 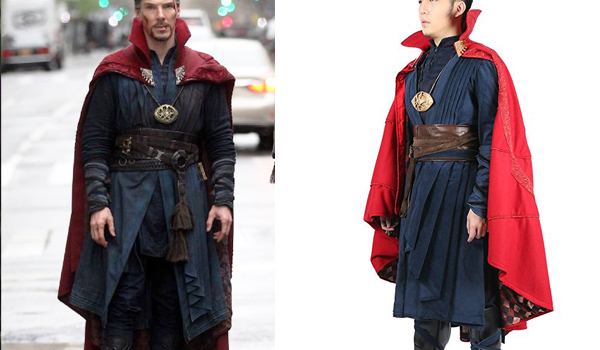 The costume that Benedict Cumberbatch wears in Doctor Strange for his role, includes a royal blue robe, a red cape with gold details, arm straps and a belt. An exact replica has been made and is available for purchase. If you just want to buy the cloak/cape without the rest, click here. 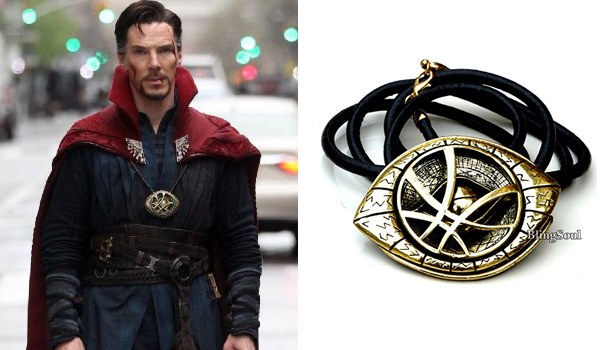 The necklace that Benedict Cumberbatch wears for his Doctor Strange role is the Eye of Agamotto, it is made of black leather and gold. This Infinity stone pendant is the perfect replica made with real leather and gold plated. 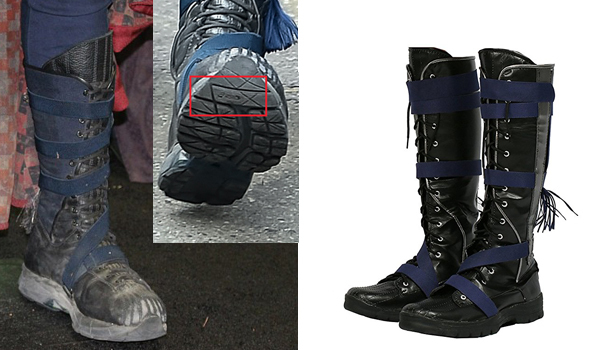 The boots that Benedict Cumberbatch wears for his Dr Strange role are custom made by Asics, they are black mid-height boots with a blue ribbon. This replica is not perfect but it's the closest you can get. Dr Strange has brown hair with gray sides, to perfect your look, we recommend you color your hair with a silver temporary dye. This one is natural and has great reviews.